P.s. 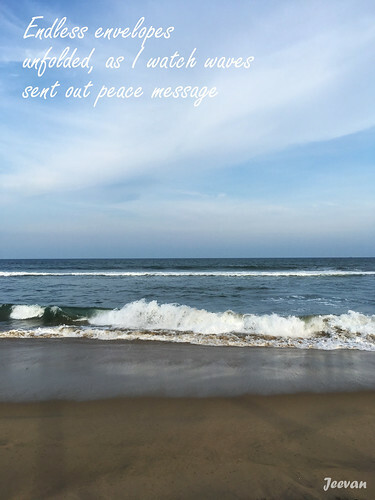 The picture shot at Palavakkam beach in neighbourhood during a visit last week and the haiku was inspiring on the spot. Hello, love the waves and ocean scene. Very pretty photo and message. Nice photo of the rolling waves! I need a vacation like this so badly. Nice words. I always enjoy watching the waves on the beach. Such beautiful words for such a beautiful place. As you know, the beach is my favorite go-to spot.